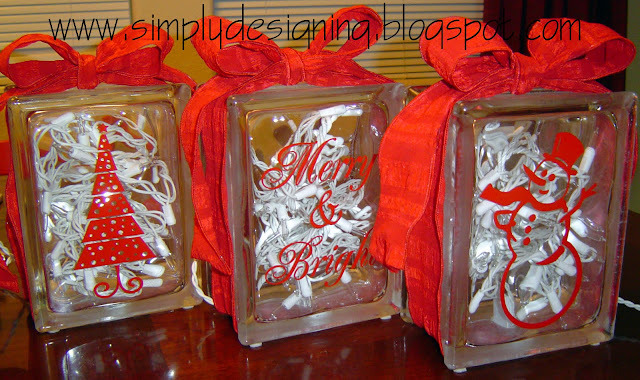 Today’s simple holiday home décor item: Christmas Glass Blocks! 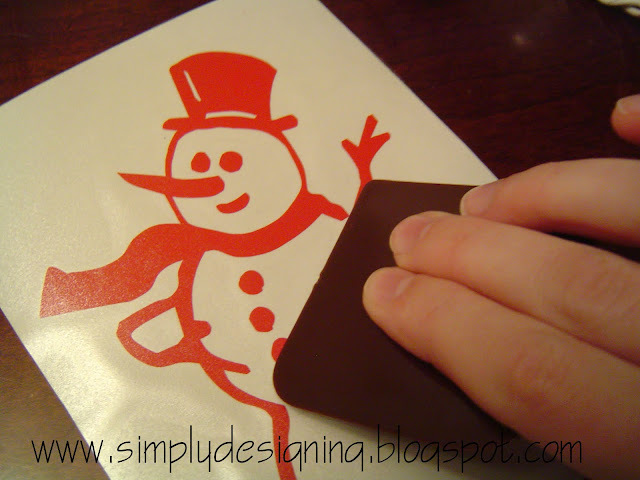 These were a lot of fun to make and very easy to do since I enlisted the help of my good friend NataLee. She owns her own business and does many things including designing and cutting vinyl. I have been enlisting her help a lot recently on several projects. 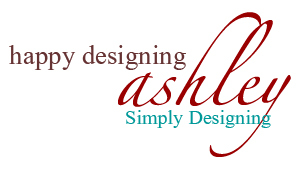 You can see her handy work in today’s project but you can also check out her website here. 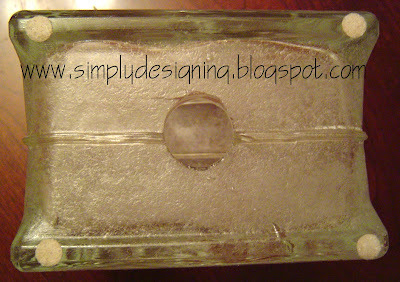 For this project I used (3) 6”x8” glass blocks. (I had a difficult time finding someplace that sold glass blocks individually, luckily the Lowe’s near me carries them.) 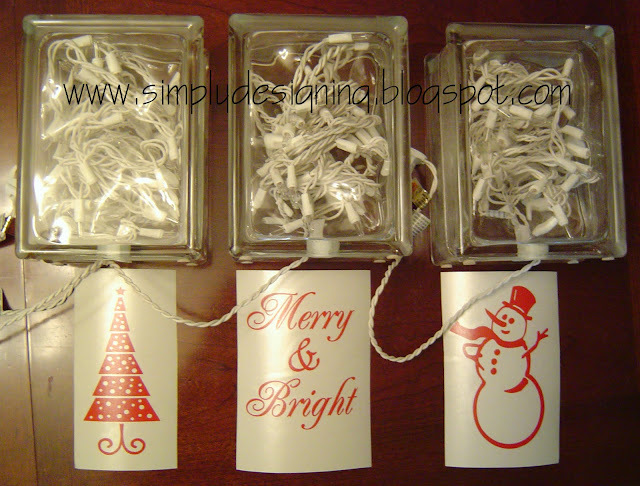 I also used a diamond drill bit (more on this later), (3) strands of 50 Christmas lights with white wire, (3) vinyl images (more on this later), felt pads (optional) and ribbon. 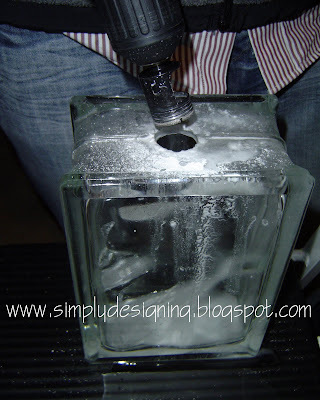 The first thing you will want to do is cut a hole in the bottom of each of your glass blocks. The most important part here is purchasing the correct drill bit. It needs to be a drill bit suitable for drilling glass. There are only a couple of options available at most hardware stores. Below is an image showing the first diamond drill bit that we purchased. Please note, this is not the correct drill bit! I could only find this style in a ½” diameter size which we soon discovered was too small to put a strand of Christmas lights through. So back to the hardware store we went to exchange it. Below is the diamond drill bit you will need! It is 1” in diameter and, unfortunately, 3x the price of the above one. 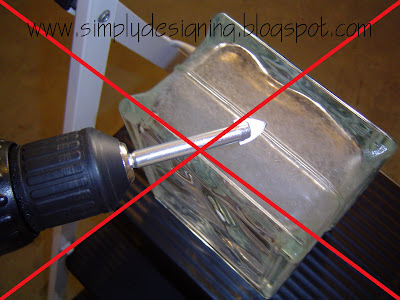 But if you want sparkly glass blocks, you will need to be able to drill a larger hole. As a side note to this, we were told at Lowe’s that at Christmas time, sometimes, they carry pre-drilled glass blocks. We could not find any, so we drilled our own. Also, if you live close to us, we would be more than happy to help you with this. Be sure to follow the directions when drilling the holes. Our drill bit directions told us to keep the area we were drilling moist with water while drilling. I enlisted the help of my husband to assist me with drilling while I held the glass block in place. This is easier with 2 sets of hands. We added felt pads to the bottom of our blocks to help protect the surface we wanted to place them on. After the glass blocks are drilled, you will need to rinse out the insides of the blocks and let them dry. After they are dry you can insert your Christmas lights inside. I used white lights but feel free to use any color you want. Next I prepared the vinyl images. NataLee helped me design and produce these vinyl images. 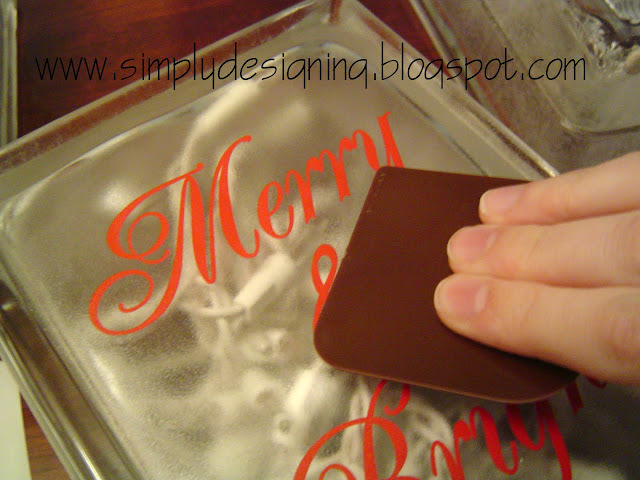 I like using vinyl because it is so easy to apply. 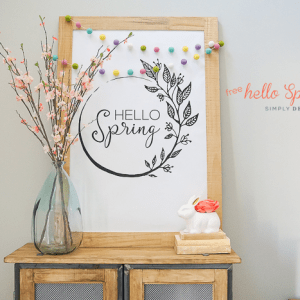 If you don’t want to order vinyl images or don’t have access to a vinyl cutter, you can always print or cut images yourself and apply them to the glass blocks using mod podge. I would use a glossy finish mod podge if you go this route. 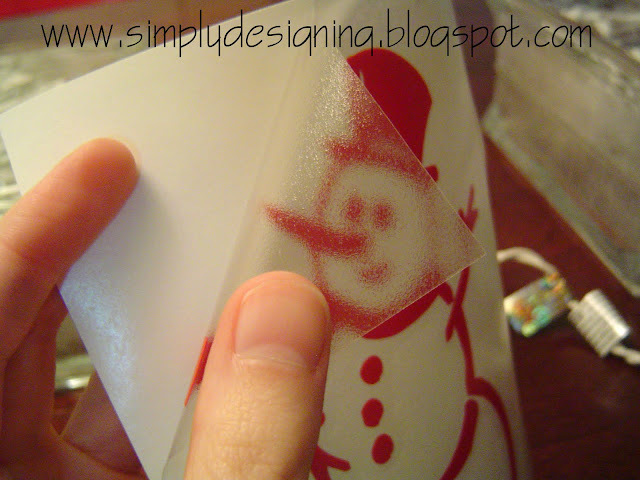 Then you carefully peel off the top layer from the bottom layer. The vinyl image should stay on the top layer. Place the vinyl image on the glass block. I like to stand above the vinyl so that I can be sure it is centered correctly. 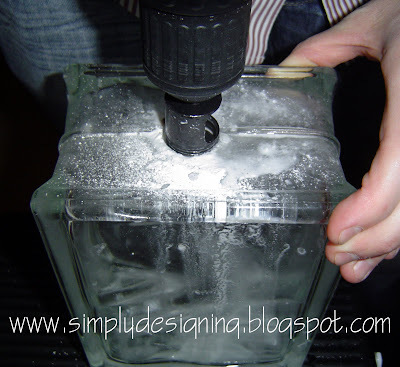 Then, rub the vinyl onto the glass blocks being sure to secure it well. Carefully peel the application paper off of the glass block making sure that all the vinyl stays on the block. Repeat for all (3) glass blocks. Turn on the lights in the glass blocks, turn off your house lights, and you have a beautiful, sparkly holiday decoration! If you like these, would you please take a moment to Pin It? 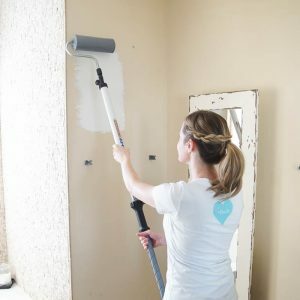 I love how these look- what a great project! Where did you buy your drill bit and size did you us ? Hi there! We just bought it at a hardware store. 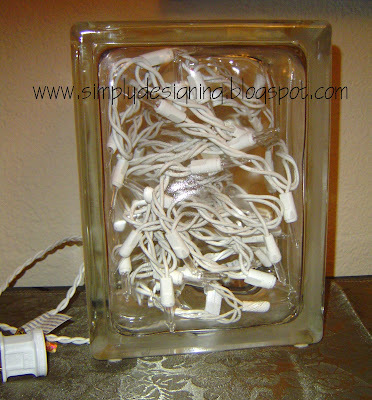 I believe we used 1″…but you just want to be sure it is big enough that you can get the lights into the glass! So you could make it smaller if you needed to I’m sure. Where do I get the vinyl images?